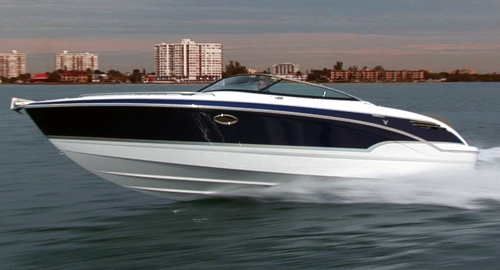 Formula’s all-new 290 Sun Sport embodies a heritage of proven performance while embracing evolution of design. 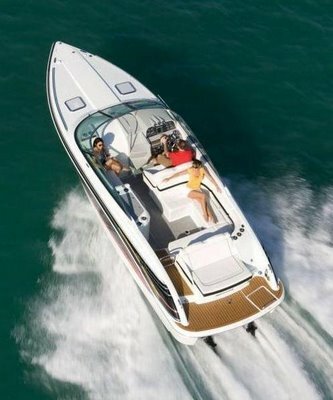 The 22° deadrise remains a standard for Formula Sun Sports, ensuring solid handling in all water conditions, while the 9-foot beam offers a roomy cabin and cockpit. Family fun in the sun is enjoyed by all in the 290 SS’s spacious cockpit. 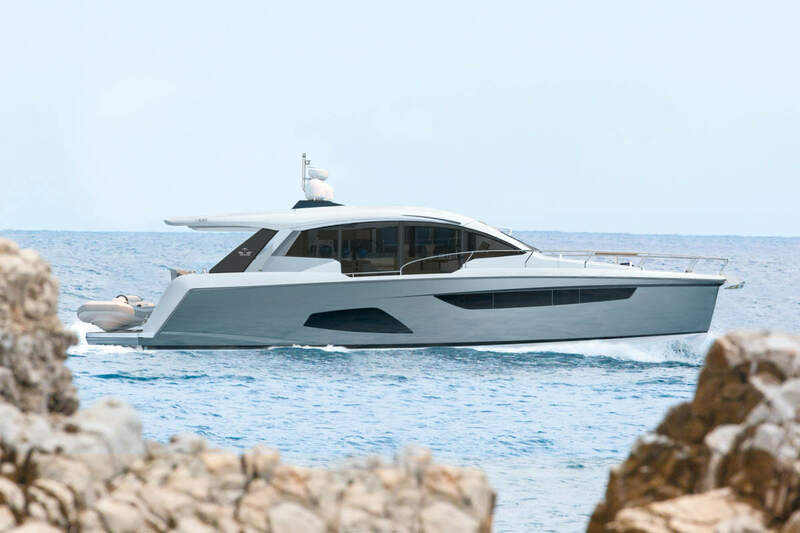 The individually-adjustable dual helm seat provides secure comfort for the captain and first mate while family and friends relax easily on the L-shaped lounge aft or the portside lounge. 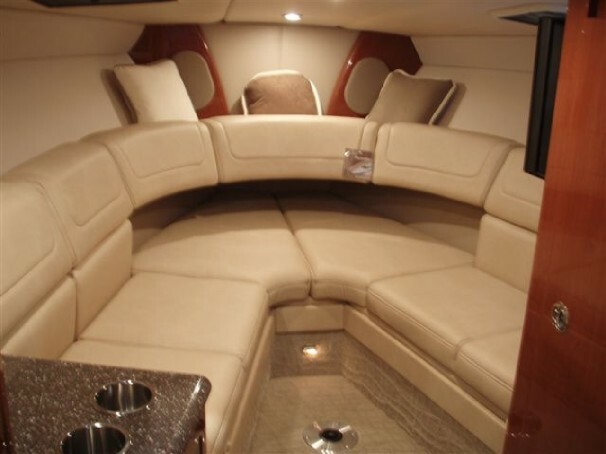 When it’s time for fun on the water, the aft-facing sun lounge cleverly converts to a double-wide sunpad. The dual-height cockpit table can be set in the up position for snacks or a card game, or lowered to expand the U-shaped lounge into a large sunpad with the filler cushions.The integrated wetbar with Corian® countertop, sink, trash container and available stainless-front refrigerator make entertaining a breeze. The 17-quart Igloo® cooler and 15 drink holders keep beverages handy. Storage is plentiful under seats and lounges for everything needed to have the perfect day. The helm commands attention with its brushed graphite-finished dash and wood burl accents. 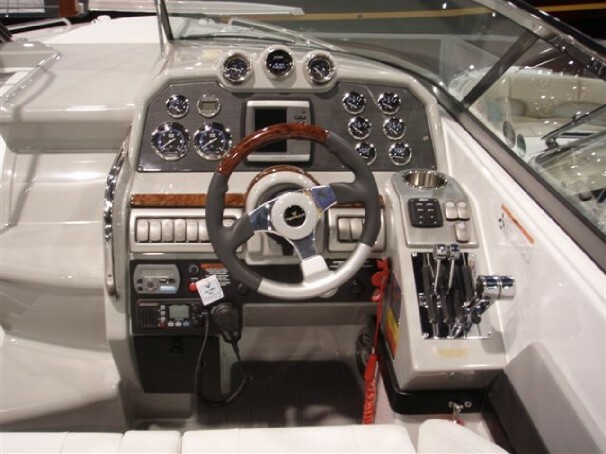 The chromed shifters/throttles with in-handle outdrive trim switch set the elegant yet sporty tone of the dash with chromed bezels and Ritchie® compass. A lockable under-dash storage compartment is standard, keeping personal items safe and secure. The cabin offers a friendly environment to cool off out of the sun. 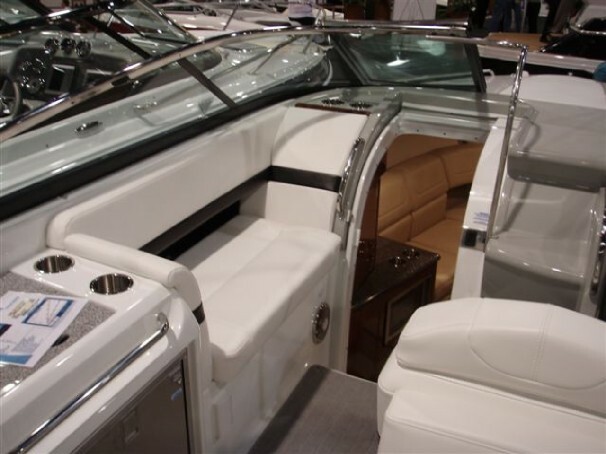 The Cherry woodgrain-finish step leads to the spacious cabin to enjoy snacks and relaxation. Custom décor pillows and draperies create an inviting retreat. The high-gloss Deep Cherry finish entertainment center is standard with a Corian® countertop and hanging locker, while a microwave oven is optional. The Kenwood® AM/FM/CD stereo features two cabin speakers, with additional controls and speakers in the cockpit and transom for music wherever you travel. A Kenwood 10-disc CD changer, iPod docking station and 200W cockpit subwoofer is available, as is a 19″ LCD HDTV/DVD combo player. Custom-patterned carpet is standard while American Cherry woodgrain-finish flooring is available. 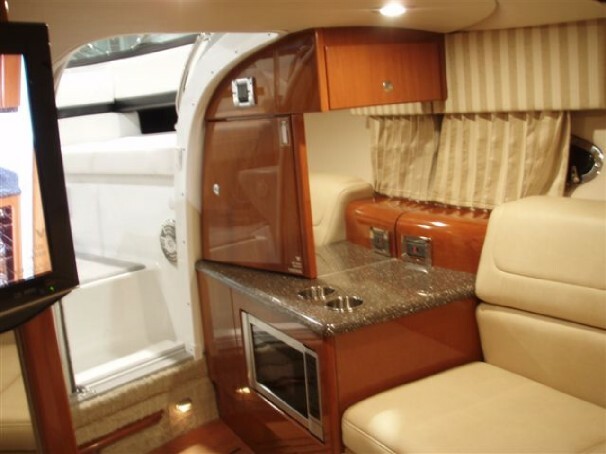 The standard private head compartment features a molded vanity with Corian countertop, a molded sink with faucet, a large mirror and American Cherry woodgrain-finish flooring. 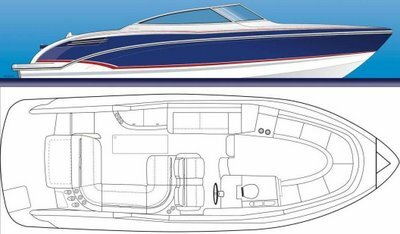 The 290 SS can be customized with an extensive variety of available options, Imron® graphic and décor selections. 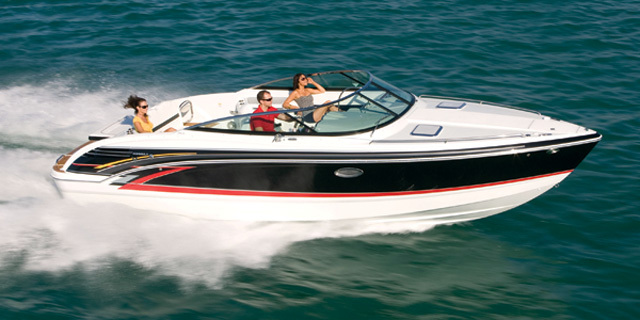 Engine packages from MerCruiser® and Volvo® offer a range of power and speed to suit every boater. Awesome, truly fantastic related information. Your website is quite amazing. I bookmarked this and will come back once once more. Wonderful article and great blog, you have a new vistor for sure! I found this website totally by accident when I was seeking for something else totally unrelated. They say the best things in life are accidents though and this site is no exception. Please keep up the great work as I plan to look for your website daily. Good post. I will post this into my twitter account. It’s always nice when you can not only be informed, but also entertained! Excellent story keep them coming WSB!